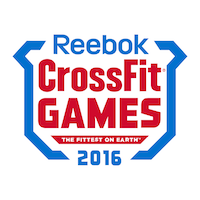 The annual Crossfit Games will be held July 19-24th and I am pretty excited. I have really only dabbled in Crossfit as a participant. I worked out at a local box last year for nearly 6 months and quickly learned how bad I am at Olympic lifts and gymnastics skills but I still loved the workouts and the conditioning results I got. Even though I'm not much of a Crossfit athlete, I am pretty well versed as a spectator since I have followed the games closely over the last several years. I love basketball, football, UFC, and many other sports, but I would much rather watch the Crossfit games than any other sporting event. I know there are many Crossfit and Dave Castro haters out there and I will be the first to admit there are aspects of the sport that I don't care for but I still think the games are so entertaining. The open and regional games are over now and the top 40 qualifying men and women from around the world will be competing for the "fittest on earth" title in Carson, CA this month. I have decided to make my predictions for the upcoming contest. Here's who I think the top 10 finishers will be for the men and women participants. *Briggs has a visa issue and may not be able to come over from England before it is resolved. I really like the format of having several events spread out over just a few days. The already insanely conditioned athletes are really put through a lot since they have very little down time to recuperate and heal between events. I love the variety of activities as well as the sheer number of participants. There are so many variables when you look at the athlete's different personalities, strengths, weaknesses, and experience they bring to the games. Here is a brief video recap of last year's contest. For how knowledgeable I claim to be about the athletes, I just realized Dan Bailey didn't qualify for the games. So much for that prediction.